ANOTHER hit-and-run trip to Victoria has been ruled out by colourful trainer Kevin Pizzuto. Originally looking to contest next week’s Cranbourne Cup with Tiger Tara, Pizzuto has elected to miss the Group Two ahead of the stallion’s trip across the Tasman. Winner of last weekend’s Victoria Cup, Tiger Tara is due to leave Australia during the first week of November before tackling the New Zealand Cup on November 13 and the Free-For-All three days later. Planning to give Tiger Tara another start before heading to the Shaky Isles, Pizzuto had considered returning south of Murray. 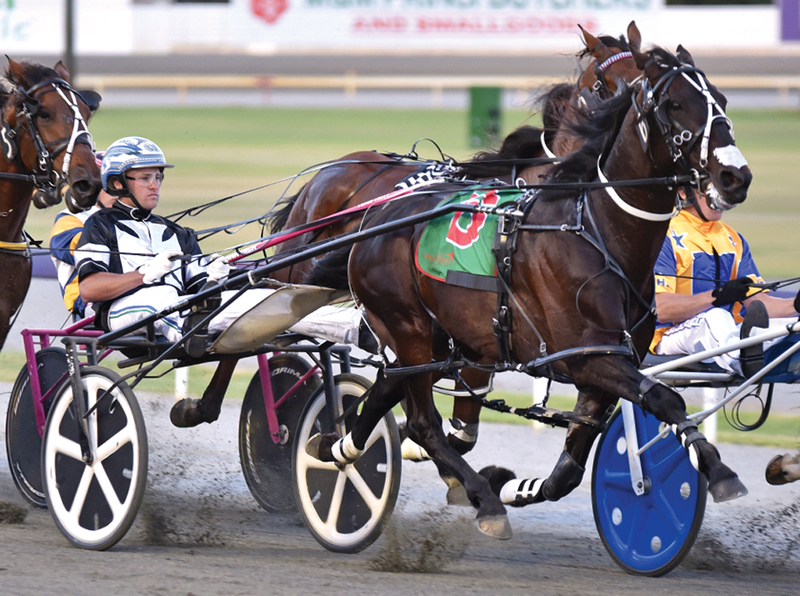 Following the eight-year-old’s success at Tabcorp Park Menangle last night, Pizzuto explained his decision to stick locally. “I’m not sure if he will even have another start before we go across now,” Pizzuto said. “I was considering going back to Victoria, but that’s when I thought Tiger Tara was able to get on a direct flight to our New Zealand destination. “Now that he isn’t I won’t be doing the extra travelling to Victoria. Driven by regular reinsman Todd McCarthy, Tiger Tara began quickly to work to the lead from barrier 10, with the remainder of the Group Three becoming a procession. Never seriously challenged, the son of Bettors Delight completed a two-and-a-half metre win from Joes Star Of Mia, with Outrageous El a half-neck away third in 1:55.4 over 2300 metres. “He is right back to his best and showed it again last night,” Pizzuto said. “The 2300 metres suits him better than the mile and he did it pretty easily.